We strive for excellence in our management of benefits and in the comprehensive treatment of workers&apos; health, providing friendly, human, personalised care that responds to the trust placed in us by our members and contributes to the efficient use of resources. 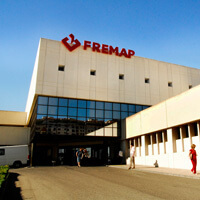 Information about your nearest FREMAP centre is available on our website. We assign a specialist personal manager to you, and in cases of emergency we are by your side 24 hours a day. Online services 24 hours a day, 365 days a year. Your mutual society, from your computer or mobile device. Good practices, information, and ways of promoting health in companies. Benefits are a series of measures implemented by the Social Security Institute to provide for, remedy or overcome adverse situations or specific situations of need that often cause a loss of income or increased expenses for individuals in such situations. Patient safety as a commitment to quality in healthcare. Patient experience as a foundation of health management. We share practical business experience in the management of workers’ health. Share and participate in network conversations.